The “Borderline Collection” started with Wella that breaks from tradition. I really discovered this when we did our mannequin heads and let our creativity be unleashed. We started with the trends and we asked questions about where the hair lays over the curves of the head. tthe hairs that move around the face in a natural fall not forced. 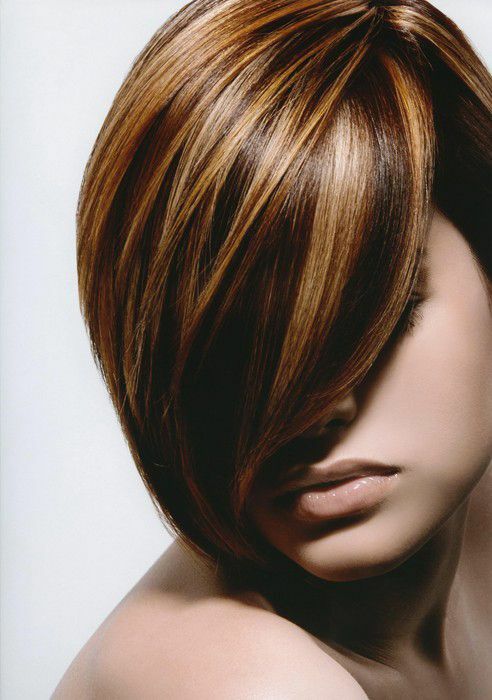 What you see on these raw techniques ended up enhancing the bob haircut leaving the bang fringe darker with the lighter colors making the hair appear shinier and fuller. the boldness of the colors interplay with 2 colors per strand that are blended together by strategic Color I.D products that are innovative to the industry that will not bleed onto each other. This newest product from Wella has allowed the true hairstylist and colorist to skip the foils for a more natural look without the beginning or ending lines of traditional haircolor. I love this as an artist to push the boundries of what was normal a year ago that is a different normal this year. We are seeing jewel tones or vivid neon colors such as neon yellow, greens, pink, purple, teal, baby blue and reds that are totally appropriate for the creative expressionist. they see their hair as their personal expression. Mind you this color doesn’t last for longer than two weeks because of the direct dyes that are not processed with developers. totally safe and totally interchangeable. This seasons new fall trend adds a color product called Innosense (need trademark here) This haircolor line has been developed for a unique balance of beauty and well being without the compromise. This permanent color line offers rich, vibrant colors formulated to reduce the risk of developing an allergy. At Indulge salon we have noticed over the past few years some clients that have used darker color for many many years are developing itchy scalps or allergies. One client we had could have used this new product a few years ago that would have stopped her sensitivity. Some of the symptoms can be itchiness or just sensitivity in general. For 20 years Wella has over 1000 research and developing products for our clients and hairstylists. Our T-cells in our body check anything for potential danger, like bacteria and viruses. When our T-cell receptors encounter a hostile substance they activate the body’s immune system. This is called “the induction of an immune response. But sometimes T-cells get it wrong. This can happens when allergies develope in previously nonallergenic people. On rare occasions, hair color allergies may develope, mainly caused by two commonly used dye molecules, para-Phenylenediamine (pDD) and para-Toluenediamine (pTD) yet, these same molecules enable the excellense of hair color, the vibrancy and coverage of grey. Within this new haircolor product a new dye molecule that is responsbile for for staying power for our clients.